Want to add a dynamic engaging seminar, training, or retreat to your program? Want Tara to speak at your RV Show or Rally? Want Tara to lead a Private Retreat? 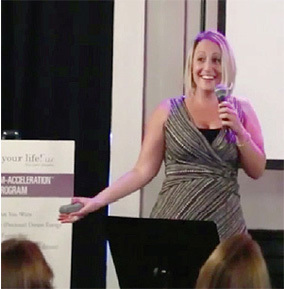 Want Tara to lead a seminar for your group or organization? A professional speaker, coach, nomad, author, consultant, and location-independent entrepreneur, Tara is CEO & Founder of Tara Sage Inc. Business owner and industry pioneer since 2004, Tara brings a customer-centric, performance-driven approach to all she does. Her extensive leadership training, with a specialized Masters Degree in Holistic Leadership, combined with her Psychology degree, coach training, commanding stage presence, and passion for supporting others to create freedom-filled lives, all contributes to how she serves clients and audiences alike. She skillfully unlocks individual and team momentum for success. StrengthsFinder 2.0, Top 5: Strategic, Activator, Command, Futuristic, Relator. Tara has been described as an “incredibly captivating speaker” with compelling content, a commanding presence, and an engaging leadership style. When she leads a seminar, it’s not just about theories. Bringing vast practical experience working one-to-one with ambitious innovative individuals, and she’s repeatedly been told that this comes through on the stage. 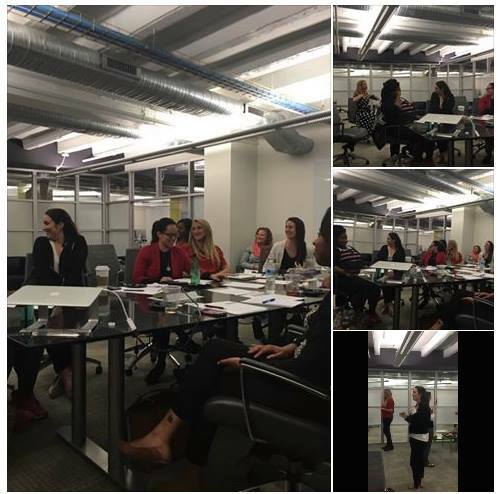 Tara helps attendees solve problems and experience profound breakthroughs in their understanding and abilities. Tara’s personal commitment is to work with you and make your program as successful as possible. 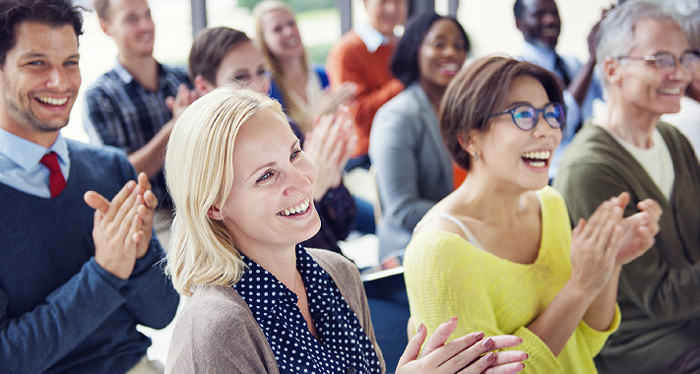 Whether it’s your next meeting, seminar series, or conference, her commitment is to provide expert insight and practical strategies in a fun and interactive way. A skilled seminar leader and group facilitator, it makes sense that Tara also teaches others how to do what she does through her Speak Up™ Program. This program helps participants 1) catapult their public speaking confidence, 2) expand influence and abilities as a leader, and 3) speak in a way that powerfully moves and inspires others towards positive change through the creation and delivery of a Signature Talk. Why book Tara for your next seminar? Tara is an expert coach, speaker, entrepreneur, author, and leadership development activator. She specializes in empowering and training ambitious professionals to grow as effective leaders. Through a holistic strengths-based approach to personal and professional development, she applies her mastery of coaching, behavior modification, client needs assessment, and seminar facilitation. Tara’s programs and seminars powerfully support participants in personal breakthroughs, fulfillment of potentials, and becoming the kind of leader they themselves would be inspired to follow. A seminar led by Tara is not just about theories. She has vast practical experience working one-to-one with ambitious innovative individuals, and this comes through on the stage. She helps attendees solve problems and experience profound breakthroughs in their understanding and abilities. Give your attendees the opportunity to learn first-hand from Tara’s compelling content, commanding presence, and engaging leadership style. Find out why she is a sought-after speaker and trainer. Her personal commitment is to work with you to make your program as successful as possible. Fear of public speaking, also termed ‘glossophobia,’ is known to be the most common fear. As you grow in leadership, both personally and professionally, it is imperative you become a confident, engaging speaker. You’ve got something to say. Tara teaches how to be the most effective, clear, commanding presence you can be in the delivery of your message. Learn specific techniques to amp up your confidence as a speaker. mobilize your message, and gain your audience’s respect. Practice implementing the skills and techniques that you learn. Go beyond constricted, oversimplified views of leadership and benefit directly from Tara’s Holistic Leadership Masters degree. Also learn four Situational Leadership Models and when each style is appropriate. for effective leadership in various situations and organizational cultures. :: Applied Strengths-Based Leadership: It Starts With You! Becoming a better leader is a process – one that starts with becoming a better YOU. Knowing who you are as a leader is a recipe for success, and the alternative can be downright disastrous. Self-awareness and knowing your strengths is necessary for sustainable leadership and the success of an organization. It’s a must, yet all too often, personal reflection gets overlooked as busyness takes over or a head-in-the-sand approach becomes the default. Engage in insightful exploration with practical assessments and in-depth self-reflection. Clarify, embrace your strengths, and learn how to integrate them into your personal leadership style. Identify the roles that are imperative for sustained growth and momentum, and identify where support is needed. collaborative genius of others; maximize potentials, release struggle, and feel the freedom of being more fully YOU. [Required] Purchase text: StrengthsFinder 2.0 ($15) and use code in the book to take the online assessment. Bring your results to the seminar. [Recommended] Take the Kolbe A™ Index ($49.95, www.kolbe.com) Bring your results to the seminar. Fear is a normal natural part of being human, yet too often it slows down even the bravest of brave. Fear can sabotage your success, even without your awareness! How is fear slowing down YOUR success? Come find out. Learn the proven steps to bravely reclaim your power over fear and s-t-r-e-t-c-h into taking swift forward-focused action with newfound clarity, confidence, and momentum. Shine a light on fear’s role and learn a proven psychological process to manage and minimize its influence. Learn how to harness the gifts of fear and the fuel for change. Define your brave next steps for swift, empowered, forward-focused action. There is so much curiosity about the nomadic lifestyle. This dynamic, interactive seminar and engaging lifestyle-focused program is sure to attract interest and add a unique dimension to your event. Learn real-world strategies and the inside scoop on location-independent living and working. Get a personal glimpse into simplification and the living experiment of a full-time RV lifestyle. Gain insight into the changing definition of home in the 21st century along with consideration, opportunities and resources that make nomadic living more feasible than ever. Tired of feeling scattered, frustrated, and wanting things to be different but unclear and intimidated about where to start? From exactly where you are, learn how to go from exhausted to inspired and powerfully reclaim your precious energy. Time management is one level, energy management is another. Go beyond theories of change and engage in a practical, easy-to-follow process for exactly how and where to focus your energy and efforts: create new habits, communicate with ease, watch time expand for you, and never again feel like life is happening TO you. Quickly gain stable footing with powerful assessments and specific tools to strengthen the foundation that all areas of your life are being built on. See how to powerfully and immediately reclaim your precious energy. Engage in practical, proven, easy-to-follow strategies to confidently steer your life in the direction of your own choosing. Personal growth has never been so much fun! If you are feeling restless, uninspired, and wondering what’s next, get ready to break free of all the “shoulds” and “same-old-same-olds” and step into the freedom and excitement of the “because I want to’s.” Learn life lessons through laughter and connect with excitiement energy, passion potential, and massive momentum and motivation. Powerfully connect with your dreams and goals and be inspired by the dreams of goals of others – all while having a blast! Gain resources and an understanding of the power in sharing and declaring your dreams. Learn how to access and embrace the joy and ease of manifestation and remove obstacles to your success. Tara provides customized retreat weekends for groups of 12 or more. Contact her today to request a special event. Tara knows that questions often arise after a seminar ends. And because she is committed to ensuring that the full value of the program is received, she provides a special complimentary bonus session to all participants: A live 1-hour Q&A teleconference, delivered within 14 days of the in-person seminar. AV technology support will be needed for seminar Powerpoint displays. Video recording of seminar is appreciated, though not required. Handouts will be provided by Tara. Based on what will best serve your attendees and your budget, programs can be scaled, from a 1-hour workshop, half-day seminar or a full-day seminar. Due to Tara’s travel schedule, a $500 non-refundable deposit is required to secure a seminar date. A 10% discount will be applied when booking more than one seminar. Additional travel expenses may apply. Half-day seminars are the most popular option, providing tremendous high-value content in a concise and powerful format that also allows for real-time, interactive participation and integration of the material. Host a “Birth Your Dreams” Private Retreat – Tara will come to YOU! Who to Invite. Make a list of all the circles of women you have in your life: family members, old friends, new friends, work friends, book club, or fitness club, spiritual community, friends from college… Send an invitation to all of them and be sure to ask them to think of a friend or two to invite. Make it first come, first serve to encourage registrations. Tara requires a 12 person minimum. Consider having an inter-generational group as the retreat lends itself to cross-generational learning. Setting a Date. Given how busy everyone’s lives are, a 6-8 week lead-time is generally ideal. If you have a core group of friends that you know are interested, pick the date that works best for them, and trust that the other people who are supposed to be with you will be available at that time too. Location. Hosting the retreat at your home is a comfortable and low-cost way to hold the event. A comfortable sitting area for everyone to congregate is all that’s needed to accommodate this program. If you are living with other family members or friends, you’ll need to access your space so that it’s easy to create some privacy from them and so that there are no interruptions during the day. If possible, send them off for a special weekend of their own; it will make it an especially fun experience for everyone. Spreading the Word. Getting the word out, and following up with people is a very important part of the planning. Keep a master list of all the people that you have sent an initial invitation out to, even if it’s just the first email that you send out if you are doing this electronically. Then you can take names off the list as you hear back from folks who can’t attend. You’ll likely have to send an email out a few times (once a week) before you start getting registrations. Your excitement will be contagious, so share it! Invite your guests to visit www.CreateYourLifeInc.com. Tara will send you the registration link to share, and she’ll stay in touch with you sending you updates on the registrations she receives. You might opt to use Evite.com or another service, or simply send out an email with attachments from Tara about the program. Once you get a few people registered, engage them in the process of spreading the word so that everyone is taking ownership of making this happen! Food. Another great way to keep the costs down is to have everyone contribute food for the weekend. Make it a potluck weekend and celebrate the abundance! When you are getting close to the registration number that you were working towards, send out a food sign up sheet to everyone attending. It will help keep the food organized and encourage people to volunteer to bring what they want. Depending on what your group decides, you might opt to celebrate with dinner out on Saturday night. Lodging. For out of town guests, send them a few local, inexpensive – mid range hotel websites so they can choose a place that fits their budget. If you have lots of room, have people bring their sleeping bags, air mattresses, etc. and invite them to spend the night at your house. Hosting Tara in a guest room is another cost savings for everyone! Schedule & Fees. Friday: 6:00 p.m. – 8:30 p.m. (potluck supper, mingle); Saturday: 9:30 a.m – 4:30 p.m.; Sunday: 9:30 a.m – 3:30 p.m., $365.00 pp. Depending on how far Tara needs to travel, travel expenses and lodging may be an additional charge. Stay Connected. 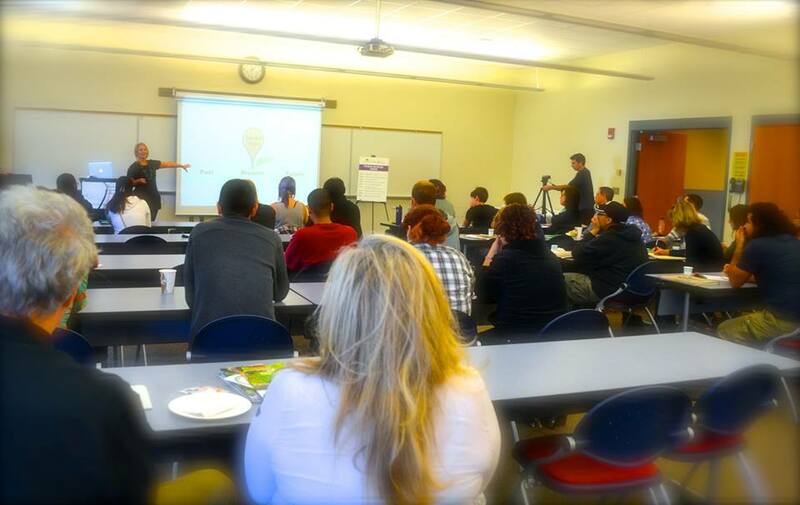 Tara will also provide follow-up ideas and options to keep participants connected and moving forward toward their dreams. She’ll share several easy way to keep you thinking, dreaming, and in-action on behalf of your best life! Have questions about hosting? Ask someone who has done it! Michelle Surdoval hosted Tara Sage Steeves and the “Birth Your Dreams” Retreat at her home in Maine and generously offered to be a contact person for anyone considering it: Michelle can be reached at michellesurdoval@yahoo.com or call (207) 839-8485.